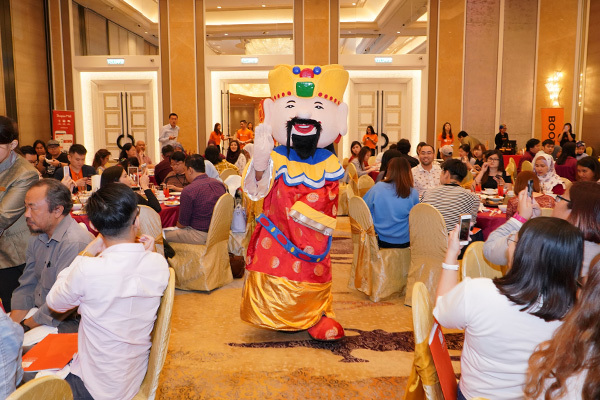 Shopee, the leading e-commerce platform in Southeast Asia and Taiwan, is announcing its ‘Wang with Shopee’ Campaign this Chinese New Year with more than RM1 Million worth of prizes up for grabs. The 6-week shopping bonanza will start from 15 January and end on 25 February. 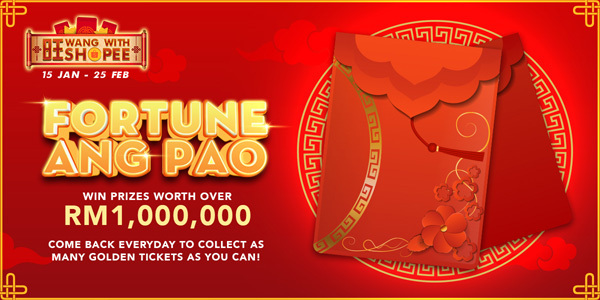 As part of the campaign, Shopee will be introducing the Fortune Ang Pao Game, with prizes of more than RM1 million to be given away to participating users. From 15 January to 23 February, users can play the game to win Shopee coins, vouchers and over 20,000 Golden Tickets daily. Each Golden Ticket entitles users to enter a sure-win lucky draw with prizes including gold bars worth more than RM500 each, weekly cash prizes of RM1,500 and a grand prize of RM8,888 in cash. Other prizes include power banks, computer accessories, home appliances and many more. Users can look forward to Shocking Sales flash deals happening 5 times a day, and additional giveaways via Shopee live Facebook games. Users can also stand a chance to win exclusive Shopee Prosperity Boxes, 88,888 Shopee Coins and a trip for two to Hong Kong Disneyland by simply checking in to the Facebook event ‘Wang With Shopee this CNY 2018’. Giveaway prizes get unlocked as more users join the Facebook event, with the top prize of a trip for two to a mystery destination worth RM10,000 being unlocked if 18,888 users join the giveaway. “Chinese New Year is one of the biggest celebrations in a multicultural country like Malaysia. For this celebration, Shopee provides a wide selection of products ranging from Health & Beauty; Home & Living; Fashion; Groceries; Toys, Kids & Babies; Mobile & Gadgets and many more to suit the needs of every member in the household. 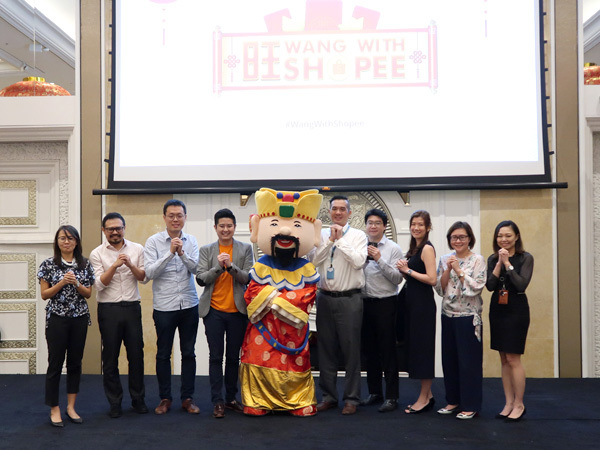 With the great bargains we are offering, ‘Wang with Shopee’ campaign will definitely bring more excitement this festive season,” said Ian Ho, Shopee’s Regional Managing Director. This Chinese New Year, Shopee is partnering more than 60 leading brands from Shopee Mall, including PETRONAS, Reckitt Benckiser, L’Oreal, OPPO, Super, Watsons, Nestle, Unilever, Tommee Tippee, Deerma, Photobook, and Xixili to offer massive promotions and discounts of up to 90% off. In line with its commitment to help more entrepreneurs and companies expand their reach through e-commerce, Shopee has also partnered with celebrity feng shui consultant, YBhg. Dato’ Joey Yap, to launch his Official Shop which marks the first ever collaboration between a feng shui consultant and an e-commerce platform in this region. “We are delighted to launch our Official Shop on Shopee this Chinese New Year. To celebrate this collaboration, we are giving out free tickets to the ‘Feng Shui & Astrology 2018 Live in Kuala Lumpur’ to the first 80 customers who make a minimum purchase of RM30 from our online shop,” said YBhg. Dato’ Joey Yap. The event will be held on 27 January 2018 (Cantonese session) at the Kuala Lumpur Convention Centre. Fans of Chinese Metaphysics can purchase his latest books and exclusive merchandise between RM 23 and RM116 from here. For more information about ‘Wang with Shopee’, visit shopee.com.my/m/wangwithshopee. To check into the Facebook event ‘Wang With Shopee This CNY 2018’, visit here. To visit YBhg. Dato’ Joey Yap Official Shop, visit shopee.com.my/joeyyapstore.